Most of the time it is difficult to show the value an editor can add to a work, but on rare occasion we get to see both the rough draft and the final work. For example, HarperCollins did us a solid when they published the original draft of To Kill a Mockingbird as the "new" novel Go Set a Watchman. We got to see how an unremarkable novel could be turned into a classic through the investment of time and energy. Similarly, 2001: a Space Odyssey shows how over riding a creator's wishes can change the tone of a movie arguably for the better. 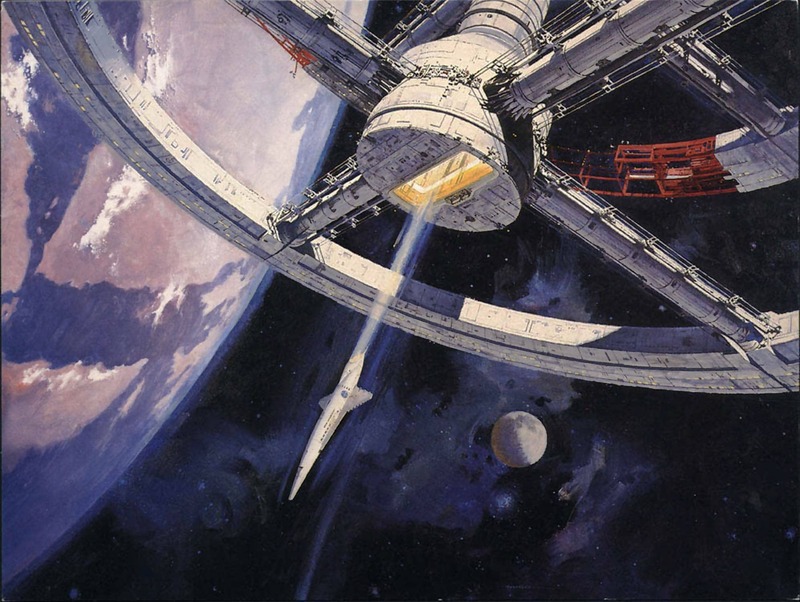 2001 started as a collaboration between author Arthur Clarke and film maker Stanley Kubrick. They wanted to make a movie about space, only they couldn't quite agree on how the movie would work, how to end it, or what to include. I guessed the problem was a difference in personality. Arthur was a scientific educator. Explanations were his forte. He was uncomfortable with most forms of ambiguity. Kubrick, on the other hand, was an intuitive director, inclined to leave interpretation to the audience. These differences were barely acknowledged. Neither did Kubrick tell Arthur of his concerns regarding the final version. Where, thanks to Arthur, the film was heavy with voice-over explication and clarifications of scenes, Kubrick wanted the story to be told almost entirely visually. Without consulting or confronting his co-creator, Kubrick cut a huge amount of Arthur’s voice-over explanation during the final edit. This decision probably contributed significantly to the film’s success but Arthur was unprepared for it. Do you know that old writing maxim "show, don't tell"? That was the rule Kubrick applied when finishing 2001, and the movie was better for it. This let the audience fill in the blanks and decide what the movie meant. Had the narration been left in, the audience would know exactly what was going on, and many would have left in boredom halfway through the movie. But while the final result was better when the creator was over ruled, does anyone else wish we could get the original narration, perhaps as a commentary on the DVD? Do you think it’s worth mentioning that the author of the New Statesman article was Michael Moorcock, when it’s based so heavily on his experiences? 2001: A Space Odyssey is my all-time favorite movie and Kubrick my favorite director. You’ll never see that version of 2001 with the narration or the other versions of the movie that once existed (I believe footage was cut by Kubrick from the earliest released version of 2001 for some reason.) Anyway, supposedly before Kubrick died he directed that all extra scenes and unused portions from filming be destroyed, and this request was carried out. Even if Kubrick wanted unused footage cut from 2001 to be destroyed, I doubt his directive was executed. Kubrick didn’t own 2001, MGM does. If the footage that was cut from the release version wasn’t destroyed immediately after the fim’s release, MGM may still have it in their vaults somewhere. There may also be a workprint of the longer version with some of the narration. I remember thinking that at the time, surely Kubrick doesn’t own 2001, it must belong to MGM. However, from what I’ve read he apparently had an unparalleled degree of control of his work so maybe there was some kind of clause in his contract with the studio for final cut rights. Dang, beat me to it. That’s an essential book for 2001 fans. Shoot, I remember when all we had was the novel, The Lost Worlds of 2001, and Jerome Agel’s Making of Kubrick’s 2001. There’s a heck of a lot more now. Kurbrick made a choice. Not necessarily better or worse than other choices that could have been made, like explaining what the heck was going on. It’s a question of taste. Frankly, I prefer “The Martian” because it explains all the technical issues so well. I would probably have preferred a version of 2001 that came closer to what Arthur Clark would have liked. Kubrick’s visuals are absolutely stunning, but some of the “show/don’t tell” stuff just comes across as pretentious.